Went out for ride on dirt today. I headed for the Brewers Park trails a mile from my house and this sight stopped me in my tracks. What the heck? That trail wasn’t there last time I rode by here. Couldn’t have been much more then a week ago. This is located in Western Duluth where Skyline Parkway crosses Keene Creek at the power line right of way. The pace of new trail construction in Duluth is staggering. 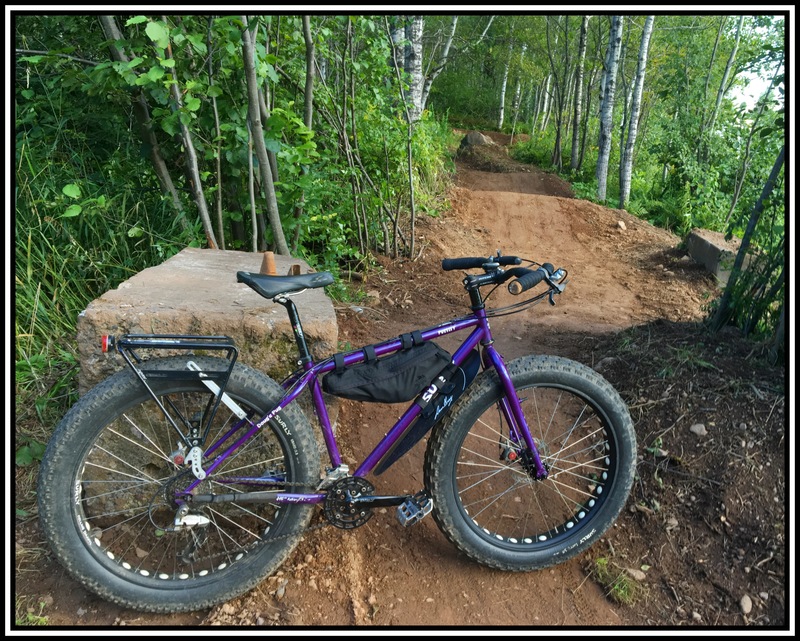 A ceremony was held this week to celebrate Duluth trail systems recognition as 1 of 6 trail systems worldwide to become a IMBA Gold Level Ride Center. More to come. Previous Article Saturday morning coffee.